Hiring is one of the most significant functions of leadership. Hiring people that fit the culture of the organization can be more important than focusing on talent and skills alone. Hiring candidates that are culturally fit with your organization can help companies improve employee retention, engagement, loyalty and organizational stability. Understanding behavioral styles and how candidates would fit into not just the company culture, but the team dynamics and the specific tasks they have to perform, is fundamental to the hiring process. Results of studies over the years vary on the exact cost of hiring the wrong person. But unquestionably, a bad hire brings exorbitant costs in the efforts of time, training, productivity, disruption, and possibly lost sales. These costs certainly include a lost opportunity to have had the right person accomplishing the tasks. Overall, hiring is an expensive investment as it takes one of the most valuable resources: time. Therefore, it shouldn’t be rushed. Every hire must add value and fulfill a strategic role that enables the vision of the business to be expressed and implemented. If the candidate performs well at the interview stage and theres a personal connection, exercise careful consideration as you might be in danger of hiring yourself. Hiring candidates who reflect your characteristics is a costly trap many leaders fall into. If you are a leader involved in hiring, ensure that there is a very clear idea of the job to be filled and the value getting the right hire brings to the business. Feeling familiar and comfortable with a potential hire might not be good for the business but it takes an evaluation. Understanding how to manage different communication and behavioral styles to best engage hires with the business is a key to the evaluation and solution/ answer. Wise leaders hire and develop people who are smarter than themselves. To be a proactive leader, understand the gaps in your own skill set and look for candidates who are able to fill those gaps in order to build a team that can deliver continuous excellent outcomes. 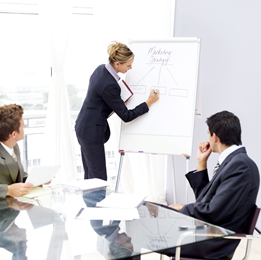 A well rounded team leverages each team members strengths to match the tasks to be completed. The key is to understand how to manage individuals behaviors within a team environment. Successful teams will always include, for example, relationship builders as they glue the team together and manage stake-holders expectations. Strategists, who are the planners, steer the team to deliver required outcomes on time. Initiators, who are the take charge type, motivate and author changes in direction and pace if required. Reflective thinkers question and evaluate the details.? Such behavioral factors working together bring strengths to an organization or team but also present some blind spots. As a leader, it is important to understand this dynamic and use the knowledge to draw together a cohesive, balanced, and high performing team. 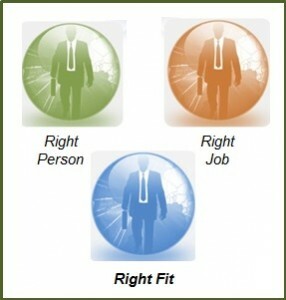 Hiring the right person for the right job should involve a variety of viewpoints and skill sets. You want your team to challenge each other to achieve at the next level. In addition to reviewing resumes, references and interview results, add a behavioral assessment for each candidate to see how close to the desired benchmark profile they are for another data point in the decision making process. Invest time into building your team through both resume content and uncovering natural behavior, which provides stability over the long-term. Natural behavior is the unique mix of ingrained traits that shape how a person responds to other factors in their life that constantly change ? upbringing, workplace, learning, passion, relationships. Uncover this and you will have the right person in the right job delivering the right fit and will not have fallen into the trap of hiring yourself. Why do some teams get excellent results while others seem to struggle? In order to answer that question, most leaders will focus on analyzing the metrics such as sales, number of office visits, average call handling time, and number of issues resolved, to understand the performance gap.? While the numbers can provide the bottom line story that CEOs want to hear, the how of getting to a high level of team performance might surprise you. Researchers at MITs Human Dynamics Laboratory found patterns of communication to be the most important predictor of a teams success.? Not only that, but they are as significant as all the other factors – individual intelligence, personality, skill, and the substance of discussions – combined! The best predictors of productivity are a teams energy and engagement outside of formal meetings. Together, these two explained one-third of the variations in dollar productivity among groups! What behavior performance gaps are holding back your sales team or service centers from increased revenue and productivity? How can you identify the communication styles of your team to guarantee more success?? ?Find out your communication style. Are You a Behaviorally Smart Wholesaler? We are quite skilled at noticing and assessing traits in others, but when it comes to looking at ourselves, most of us would rather take a pass. Your job as a wholesaler requires you to have a multitude of skills: product knowledge, territory management, ability to listen, influencing others, physical stamina, resilience, self-discipline, confidence, public speaking, trustworthiness, and effective communicator. The challenge is that we cannot possibly be a 10 in all skills.? Honestly assessing your strengths and struggles will help keep you on track for your own best success. It is interesting that we talk of customizing the experience for our advisors but rarely talk about customizing our own work and life experiences. Here are seven behavioral insights to start you on your path to becoming a behaviorally smart wholesaler. 1. You have an intellectual honesty about who you are and how you perform on the job. In his first few years as a wholesaler, Paul exceeded his sales goals and was ranked in the top 5 in the firm.? Lately, his numbers had dropped and he had fallen to the bottom quartile of sales goals. In addition to the pressure Paul put on himself for improving his performance, his manager started adding on pressure in every weekly call.? You need to make more appointments, more calls, you are not telling the product story in a compelling manner, you need higher quality advisors, said his results-focused manager. Instead of being motivated, Paul felt overwhelmed and was actually de-motivated. Paul decided to take an honest inventory of himself by writing down his strengths and struggles.? 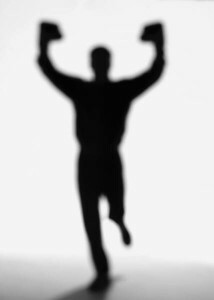 Then he could take a more behaviorally focused approach to improving his performance. His strengths?? He easily connects with people, has a great deal of empathy, listens intently, is spontaneous with a high level approach, operates instinctively, and enjoys new ideas. His struggles?? He can become easily overwhelmed by wanting to do it all, and can become bored with routine and details and has a high need for approval. Armed with this new awareness, lets see how Paul fine-tuned his business plan. 2. You design your business plan based on your self-awareness. The first reality Paul had to recognize is that with his sales down, he was not getting the approval and recognition from management and co-workers as a top producer.? This is one of his biggest struggles.? Approval is the motivator that keeps him engaged with his goals. Now he had to give approval to himself for accomplishing some of the smaller steps along his path. While sales numbers are a big part of his goals, he needs to create other measureable goals to keep his motivation high.? He found an app, Goal Meter, that could easily track process goals that he could control, such as positive attitude, exercise, and number of new advisor appointments.? This seemingly small step gave him a new perspective and the inner confidence to believe results will follow. Pauls greatest strength is meeting new people and building solid relationships.? He decided to consistently ask for more referrals from his best advisors and had his inside sales rep do the same.? In each of his key cities, he was going to increase the base of advisors that he called on and add four more appointments per week. Paul also knew that calling on new advisors would help break up his routine.? He is easily bored and needs to move outside his comfort zone (and need for approval) of calling on the same advisors. While Paul likes new sales ideas, his creativity comes from improving proven concepts. He decided to enlist the help of his other wholesaler friends who are always generating new ideas to brainstorm with him. In addition, he was letting himself get stuck with details (at least he was doing something, he told himself) so now it was time to delegate some of that to his inside sales rep.
Paul easily relates to his clients and feels each has his/her own unique story so the next revision of his business plan calls for a new approach with his advisors. 3. You ask behavioral questions to understand the intrinsic why and how behind your advisors. Paul realized that he asked his advisors a lot of questions because he truly enjoys people and has a natural curiosity about them.? But he knew there was much more to ask to get at a deeper level, especially with those advisors with whom he did not naturally connect. He created a list of questions that, depending on the advisor, he would now begin to ask.? Paul decided he would record the information into the firms CRM so that every person on his team that spoke with this advisor would have access to the same behavioral insights. Tell me about when you have successfully collaborated with others? What have you done in the past when you have had a difficult conversation? How do you gather new information? Help me understand the conversations that you enjoy having. What is your need for fast action and results? How much detail do you need to make decisions? What type of research do you prefer to perform before making a decision? Explain about a situation when ?your expectations were not ?managed? Tell me about how you approached a new opportunity that was presented? In what situations do you feel ?overwhelmed? What will you value from our relationship? How will you measure our relationship? In making this list of questions, Paul realized it was not just about asking better questions but that he also needed to adjust the way he communicated with each advisor. 4. You tailor your communication style to accommodate the style of your advisors. In reflecting on the advisors in his territory, Paul felt he connected very well with most of them.? However, there were certainly different levels of relationships so he decided to change his style based on the information he gathered in Insight #4. For example, his high goal focused advisors did not need to hear all the stories that Paul thought were interesting and amusing. Paul decided to ask these advisors for their agenda first and be sure to address each point clearly and concisely.? No need to elaborate unless the advisor asked him. Now Paul needed to focus on improving his relationship with his inside sales rep.
5. You know your inside sales reps strengths and struggles and engage him/her accordingly. Paul understood that his inside sales rep, Kelly, had a high desire to take charge and so did Paul.? While Kelly was sociable, she got straight to the bottom line with advisors and enjoyed researching and sharing all the product details. Kellys motivation was completely monetary and numbers driven. Given the number of clashes they were having during this stressful time, Paul decided to discuss his updated business plan with Kelly. They openly discussed their behavioral differences. Each has a high need for control so they decided that Kelly could discover and develop her own group of advisors.? Paul told Kelly how much he appreciated her attention to the product details and he would match Kelly to the advisors who needed that amount of information. Paul shared his need for recognition and that he would give himself more credit for the process goals and asked Kelly to contribute in this strategy. Weekly calls would discuss more behavioral insights and strategies but Paul and Kelly felt this was a good start. Paul’s conversation with Kelly got him thinking about improving his relationship with his manager. 6. You understand your managers strengths and struggles and openly discuss how you can build a stronger relationship. Pauls manager, Matt, spent a few days travelling with him to help him improve his performance.? Initially Paul felt this was a micro-management technique because he didnt really trust Matt. But using his new behavioral business model as a guide, he requested that some of the time spent with Matt be focused on discussing each of their strengths and struggles. During their discussion, one of the strengths that Matt shared was his ability to stay detached from rejection.? He was much more task oriented than Paul so while Matt was sociable, he did not take it personally when sales numbers were down.? This strength allowed him to call on even more advisors and keep his motivation high. Matt helped Paul reframe his thoughts and offered valuable techniques that he could use to not let rejection drain his energy. Paul felt their relationship was on a better track now that each understood the why and how behind their actions.? But Paul felt he needed some additional assistance and decided to hire a coach. 7. You work with a coach who? objectively helps you capitalize on your uniqueness to break through your own barriers. Paul began his search for a coach by determining what was most important to him.? He knew that wholesaling was a unique business so he wanted someone who had the actual experience as a wholesaler.? He also wanted a coach who worked with a person from the inside out (using behavioral profiles) as Paul was confident of what to do. What Paul found with his coach was that the objectivity of the relationship propelled him to his next level of success.? His coach worked with him to build a better Paul by focusing on his natural strengths and creating an awareness of his struggles. Take a lesson from any professional sports player. There is very little skill difference when you are ranked in the Top 10 in the world. What sets you apart is winning from within. Visit the Financial DNA website to learn more about our solutions for financial services and get started on your path to becoming a behaviorally smart advisor. Peggy Mengel is Vice President, Customer Experience Advisor for DNA Behavior International. DNA Behavior International has been leading the behavior awareness revolution for over ten years by helping financial services firms navigate human differences. The firm helps grow behaviorally smart advisors by matching diverse advisors, clients and solutions. Prior to joining DNA Behavior, Peggy spent her career in the financial services industry as a sales trainer, account manager and a wholesaler who carried the bag for eight years. 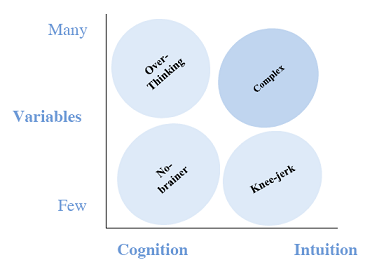 People problems within multi-function corporate teams are often the result of a lack of Interpersonal Operational Insights based on behavioral assessments. While executives have a multitude of metrics and bench-marked data to run other aspects of their businesses, they generally lack the ability to measure and track behavioral aspects of their organizations that are clearly critical to success. The implementation of an Enterprise Behavioral Program will allow organizations to internally enhance their hiring expertise, goal collaboration, executive coaching, leadership development, career management, interpersonal conflict resolution and develop customer and vendor insights to improve performance. Learn how Arete Global Consulting is helping organizations succeed with behavioral assessments through their Enterprise Behavioral Program.